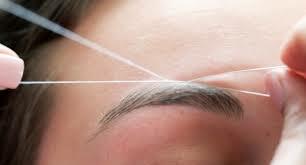 Along with waxing, threading is a Spring Mist Spa specialty. Those who are already familiar with it, swear by it. To those who are yet to discover Threading as a means of hair removal; and we aren’t afraid to say that there is no better means of removing facial hair than Threading. May we add that there is no better place for Threading then Spring Mist Spa. Your eyebrows will thank you! This ancient method of hair removal uses a cotton thread which is wrapped around hair before gently ousting it from the skin. When it comes to facial hair removal and eyebrow shaping, Spring Mist Spa gives you the choice of Thread or Wax. For quick hair removal on large, medium or small body parts, waxing is the most popular method. Wax removes hair from the root. This results in smoothest skin and longer lasting results. Waxing is a great option for hair removal as it has some great side benefits. The process of hair removal by wax provides physical exfoliation. The wax strips also pull dead cells from the surface of the skin, thus leading to very smooth skin. If you get waxing done on a regular basis, you will notice that when hair does grow back, it will be thinner, weaker, finer, softer and more sparse. At Spring Mist Spa Milton, we follow the highest standards and practices in a hygienic environment. We use the highest quality cream wax which soothes even the most sensitive skin. And no double dipping!